Before there was Alcatraz, there was McNeil. Washington State is home to an island prison that for many years was the most remote prison in the United States. 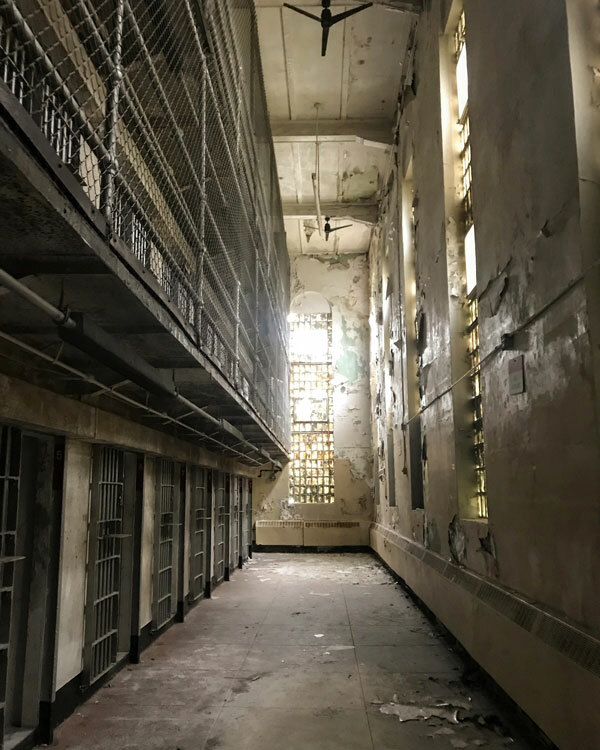 First a territorial prison, then a federal penitentiary, and finally a state corrections center, the long history of McNeil is full of notorious criminals, daring escapes, and prison reforms. This illustrated presentation by Washington State Historical Society curator Gwen Whiting will focus on some of the many escapes from the island prison from humorous to harrowing. Behind-the-scenes photographs will illuminate the research that Whiting and the Historical Society team conducted to put together this exhibition through visits to this off-limits site. Gwen Whiting is the lead curator at the Washington State Historical Society. The exhibitions Whiting has curated for the Society include Unlocking McNeil’s Past, Hope in Hard Times: Washington during the Great Depression, and COOPER (about Northwest skyjacker Dan “D.B.” Cooper). Whiting is currently at work researching and writing a biography of actress June Havoc, also known as the sister of Gypsy Rose Lee. These monthly, free events are open to everyone interested in Oregon, Washington and Pacific Northwest history. Co-sponsored by like-minded historical and civic organizations, we bring you experts, scholars, first-person experiencers and historians who expound on topics from Lewis and Clark to shipwrecks, hop growing to women pioneers and far, far beyond. It's like being back in the classroom - except this time you get to settle into comfortable seats and enjoy a drink or two with dinner while you listen and learn.